New style of dating services are booming in Japan? this entry is written only Japanese. 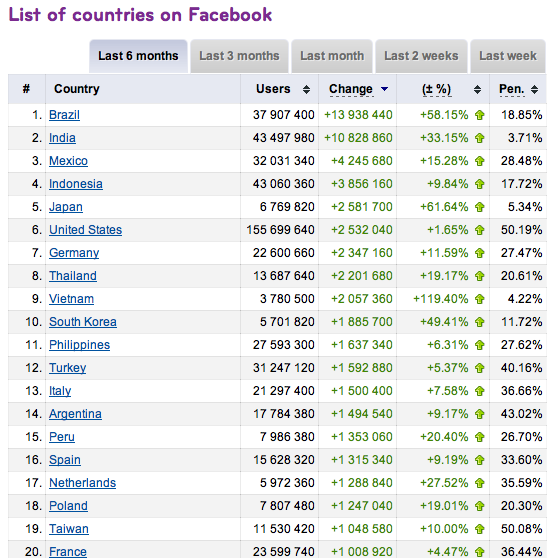 Recently Facebook statistics, how about Japan? 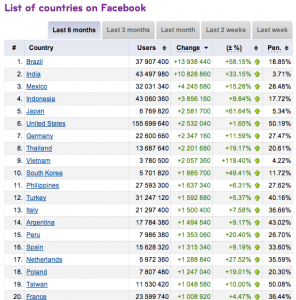 According to socialbakers‘s facebook statistics by country, there are 6.76 million users in Japan which makes it 25 in the ranking of all of the world. 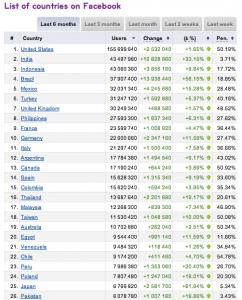 In addition the number of increasing users for last 6 months are 2.58 million which makes it 5 in the ranking of increasing user. I’m not sure what is DAU (daily active user) of Japanese users, however I’m feeling a similar boom with the one that mixi which is most popular SNS in Japan used to make a few years ago. So I guess facecook’s DAU in Japan is kind of high rate. 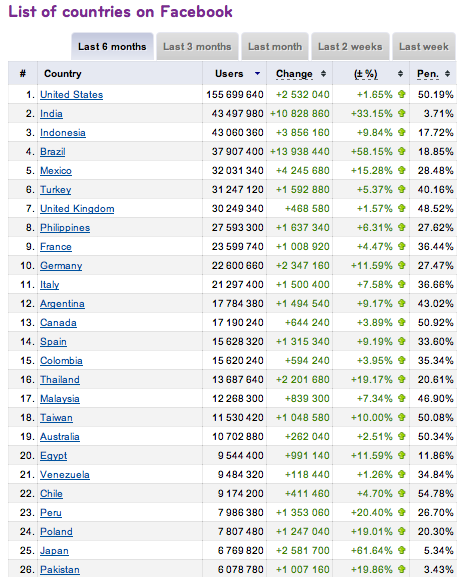 In my speculation, it may have a potential that user number of facebook get over mixi’s one by this summer. this entry is written by Japanese.